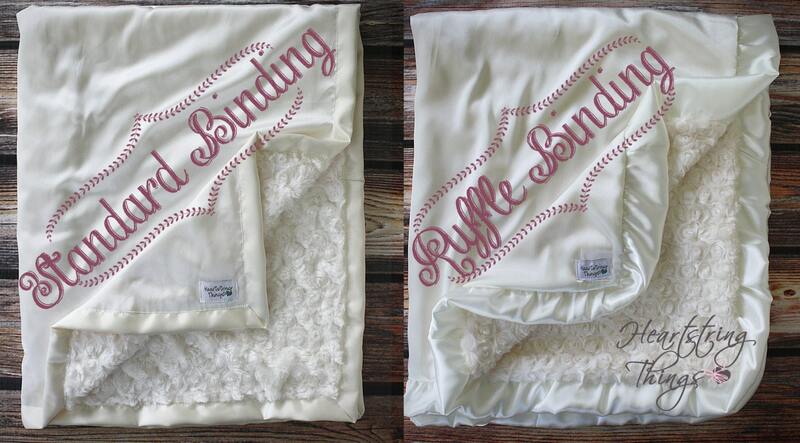 PLEASE NOTE: This listing is for satin/minky blanket WITH EMBROIDERY (names or very small phrases, birthdays, etc. (i.e. equivelant to a name and 1 sentence))!!! For graphics or extra lettering, please message BEFORE purchase. ***Put all embroidery information in the notes at checkout. This includes correct spelling, spacing and capitalization. ***You will receive the blanket in the first picture, unless otherwise specified in the notes at checkout. Everything in my shop can be mixed and matched. If the blanket you want is different than the first photo, just state exactly how you would like it made in the notes at checkout. If you have questions about the possibilities, message me! 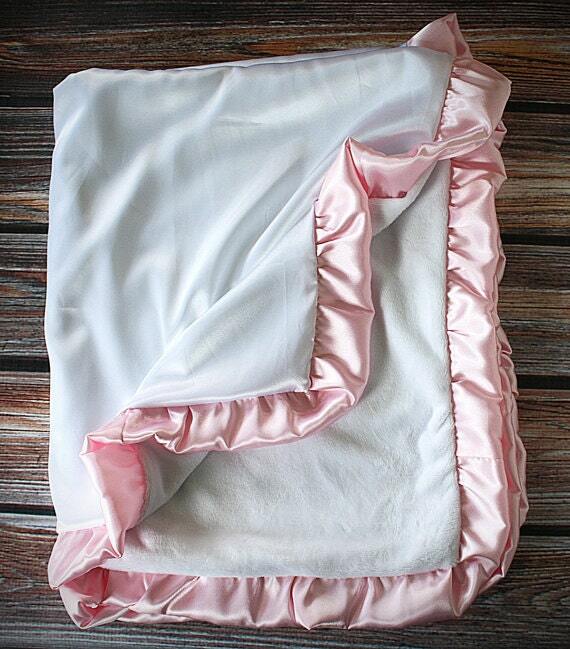 ***This particular listing is for a blanket with minky on one side, and incredibly silky smooth satin on the other side. 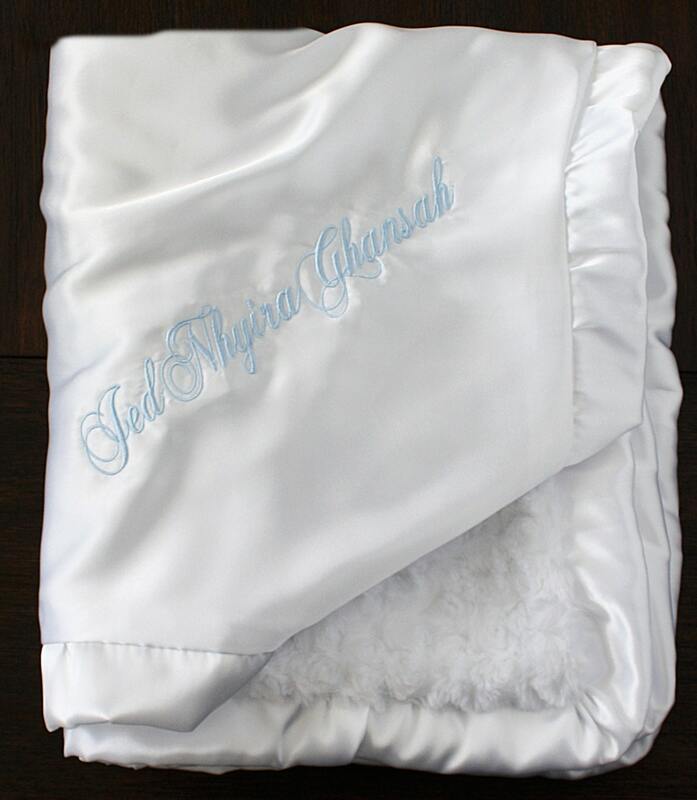 My blankets are created with the highest quality of minky and satin and are incredibly soft and 100% machine washable. (Machine Wash Cold, Hang to dry. Do NOT apply heat to minky). ***Please check the drop-down menu for sizes and prices offered. ***If you do not state which side you would like embroidery to be on, it is left up to my discretion as to where the placement goes. I always choose a solid side (satin 1st choice, solid smooth minky 2nd choice) to embroider on. If no solid side, I choose the side that is least busy. ***I always embroider on a corner and on an angle, unless otherwise specified. *NOTE* Embroidery on the lattice, rose, or hide minky's (i.e. HIGH pile of faux fur) tend to get a little "lost" in the faux fur and doesn't look as clean and bold as it would on smooth minky or on satin. I will always embroider on the side that does NOT have a high pile of faux fur, if I have the option. If I do not have the option (i.e. 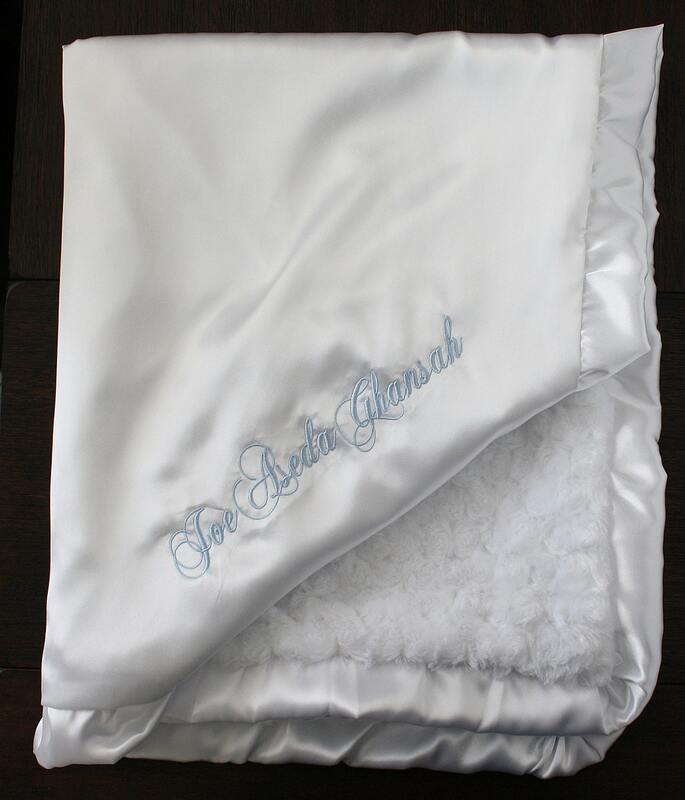 both sides of the blanket have high pile of faux fur), or you choose for the embroidery to go on that side, I do make the font as thick and large as possible, but know these fabrics are not the ideal medium to embroider on. If in question, PLEASE contact me so I can give you examples and my opinion!! ***Notice my generous sizes and pristine quality when comparing blankets. My sizing matched with pricing is extremely generous and competitive. ***For Blankets made with Minky on both sides and include embroidery, click here. ***Every single item in my shop is Handcrafted by me in USA in smoke free home. 100% machine washable. Estimated production time will begin from the day the item is purchased and the payment clears, not on the day the shop owner is contacted regarding the item to be purchased. *After the standard 6-8 week production time (not including Holidays), orders are shipped First Class Parcel USPS. 2-5 business days inside the United States, and generally 7-10 business days for international orders. Please note, this is approximate! International orders could take longer if your item gets held up in customs, which unfortunately is beyond my control. *Ruthie and Sage will do everything possible to aid with any issues which may arise with USPS packages. Please do realize, once USPS has a handle of your package, it is up to them as to when they get your package to you. Rest assured I care just as much as you do that your package gets to you in time, and will do all I can to ensure you get it at your desired date if it has been discussed. Who pays for customs fees? Generally, buyers pay the additional costs such as duties, taxes, and customs clearance fees. Import charges can vary widely but are most commonly based on the price and type of item, package weight and dimensions, origin country, and the taxes, duties, and fees of the destination country. Most sellers on Etsy are unable to predict which of these fees, if any, will be applied, and Etsy does not expect sellers to calculate or collect these fees or taxes. Customs fees are between the buyer and their own country. It is a way of a sellers country to collect taxes from their residents. *Please message me BEFORE you order if you need a rush or priority shipping. I ship items in the order they were purchased. Business days are considered Monday-Friday, excluding all major Holidays. ** Ruthie and Sage will not guarantee exact shipping dates unless previously arranged with the shop owner. Current production times are estimates and can vary slightly depending on item purchased and material availability. I do not respond to emails sent to my personal email. 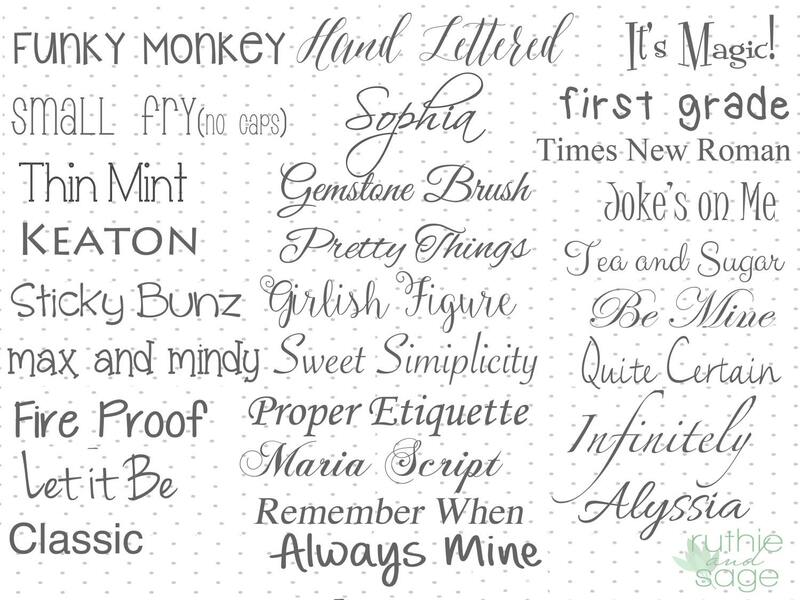 It is important to me that I have a trail on Etsy's email program, therefore I only (and always!) respond to Etsy emails. If you send me a personal email, chances are it will go unread and not responded to. Lace print on lace leggings and shirts may be a different pattern than what's pictured depending on availability of that color from the fabric vendor. Color shades on all photographs may vary from screen to screen, as well as dye lot to dye lot. Heartstring Things will not deliberately or intentionally alter the colors or patterns of the items shown in the photographs. Blanket sizes may vary (an inch or 2 on small blankets, 3-4" for bigger blankets) as well, depending on the seam allowance and what size was cut from my vendor. Please note, I will not answer emails sent directly to my personal email address. The only emails that will be answered are those sent to Ruthie and Sage Etsy email.